Watercolour drawing by far outstrips all other forms of drawing for newcomers as it provides a medium for virtually anyone to get into painting. With watercolours you can produce a quick sketch of that wonderful landscape that’s in front of you and will inspire you and remind you of that time for years to come… recalling the sights, sounds, aromas and emotions like no photograph alone could ever rekindle. Imagine if you had access to a real artist who sent out different aspects of learning to create water color scenes. No matter what time of the day or night or where you live in the world you literally would have an artist at your fingertips and your new found skills would amaze your family and friends. 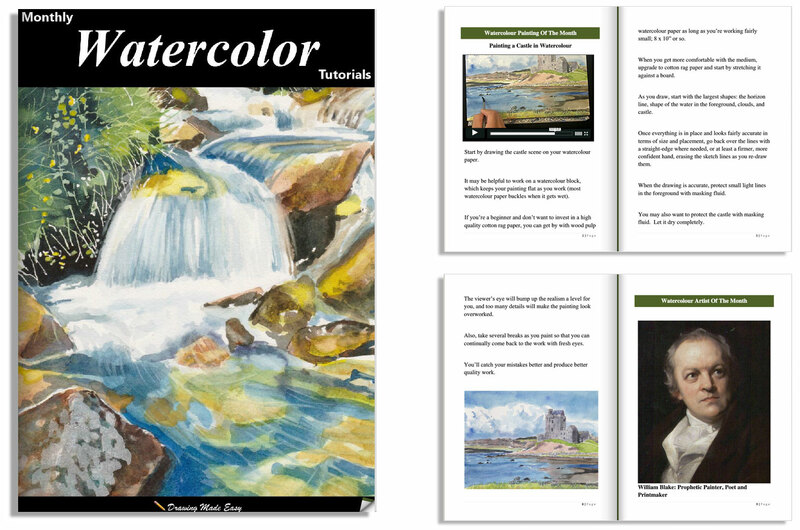 We have teamed up with an artist to create the “Water Color Magazine”. We have taken on board your feedback and teamed up with an artist to bring to you exactly what you have asked us for. The magazine is generously illustrated showing you step-by-step how to create beautiful water color scenes and a goldmine of sample illustrations for further ideas. With clear (and fun) instructions & videos… you’ll learn at your own pace in the comfort of your home. Our artist will create a new painting that was done with water colours that you can learn to create yourself by following along with the step by step instructions. Each edition will feature a famous artist section where you can read about an artist that has created masterpieces throughout the ages. It will include a bit of background information and how their work became famous. Most people’s first question is what do I need to create such amazing water colour scenes. We have taken the guesswork out of this for you and give you a section dedicated to what you need and what is in trend at the moment. This will be an in-depth look at a water colour picture and the artist will dissect it and show you everything you need to create your own version or simply replicate. 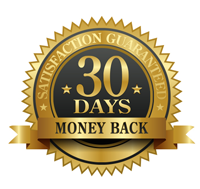 So if you aren’t happy with anything at all within 30 days … just contact me at info@drawing-made-easy.com and you’ll receive a full refund on your first edition! We will cancel your subscription, stop any further charges and you won’t receive any further editions. I love receiving a new edition each month in my inbox. They always get me inspired to draw and paint every time and the artist does a wonderful job of explaining things. Great magazine you’ve got here. I usually read it on my way to work and the videos really make it enjoyable to watch. Keep up the great work! You will find the magazine will cover different tips and tricks that you can apply immediately plus much, much more for you to become a better artist. My advice is to start off slow. Practice makes perfect and you will get better with each edition. If it’s not your first time learning how to draw using watercolours – I hope I can offer some new tips and tricks to add to your drawing arsenal! P.P.S. The Monthly Watercolor Magazine is accessible from anywhere in the world 24/7 on all devices. The product is a digital magazine delivered to your inbox each month with new content, lessons, videos and much more. It consists of written instructions, step by step video clips and reference images taught by our professional artist. The cost is just $9.95/mth or $89/year with a brand new edition each month. It works on any device (desktop, tablet and mobile) and is accessible anywhere in the world. The videos contained in each magazine can be played on any device as long as you have an internet connection. Deliver of the digital magazine in instant. If you did not receive anything just send us an email info@drawing-made-easy.com and we will take care of you promptly. You can cancel anytime by sending us an email info@drawing-made-easy.com and we will stop any future debits and you will no longer receive any new editions. You can keep all the ones you already have for life. There is also a 30 day money back guarantee the first time you sign up so you have nothing to lose.